If you are trying to find a great nail salon in Columbia, MO, come to T C Nails! Expert nail stylists are on staff ready to help you get the look you desire! From gel nails to shellac nails, there are a myriad of affordable options to choose from! From gems to classic designs, find the style for you! For an exceptional nail salon, head to T C Nails! T C Nails is the greatest nail salon in Columbia, MO! Whether you want a mani or pedi, our nail technicians will make you look amazing from head to toe. We have many years of experience in doing nails, so you can trust our services when you need to get your nails done! In addition, we also provide waxing services! We are your go-to nail salon because of our dedication to your comfort and satisfaction. We provide many types of nail options, such as gel nails, acrylics, and shellac nails. Our nail technicians can shape your nails to the desired form you want, and we can apply all sorts of colors, designs, and finishes. Because of our many options, you will love coming to us to get your nails done! If it’s time to get your nails done, come to T C Nails! Our manicure services are the best in town because of our commitment to your comfort and satisfaction with our services. We make sure that you feel relaxed under our care. Our manicurists have many years of experience at doing nails, so you can trust us to give you the best look every time! We do acrylic nails, gel nails, and shellac nails! If you want a full set of new nails, we are the place to go! Our manicurists have an exceptional talent at doing nails, so we can mold your nails into any shape and apply any type of design, color, and finish to your nails. 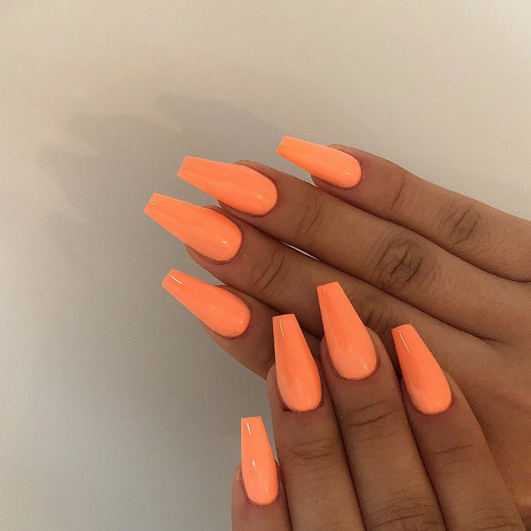 There is no limit to what your nails can look like! Call us today to schedule an appointment for a manicure! When you need a pedicure, come to T C Nails! We don’t just offer manicures – our pedicure services are the best around! Our talented nail technicians are professionals when it comes to nails. We make sure that you feel comfortable and relaxed while under our care, and that you walk out of our nail salon feeling flawless on your feet! Our pedicure services are great for removing dead skin and follicles that can make your feet look less appealing. We also use products that ensure the growth and strength of your toenails! Tons of nail polish options are here for you to choose from, so there is no limit to how your nails can look! Our pedicure services will have you feeling fabulous from head to toe! Don’t wait – call today to book an appointment with one of our nail technicians. I have heard positive comments about TC Nails from dear friends. Their positive critiques in addition to how beautiful their nails always look persuaded me to give TC Nails a try. I was immediately and kindly greeted by both technicians! I was provided excellent and prompt service. I love the way my nails look. I hope it last as long as the time I was told. The color I selected looks darker than I prefer when applied to the nail bed. However, the polish was carefully and satisfactorily applied! T C Nails © All Rights Reserved.